The CNULM is the only Caribbean member of the ILC. This does not mean that the CNULM is the only NGO working on the issue of land rights in the Caribbean nor does it mean that the CNULM is the only one in a networking mechanism. However, given that only one of the 38 members of ILC is from the Caribbean it is important to have more Caribbean participation given that the ILC has the power to lobby for land policy at the highest forums, e.g. in the settings of the SDGs. We will be working with the ILC to expand Caribbean membership for the next rounds of application. There are large land masses in Latin America countries so discussions were conceptualized in terms of related to large tracts of land. In the Caribbean, land is scarce and often of high value so the point was made that even small changes (e.g. changes of land ownership/ usage in urban areas etc.) can have significant impacts. Tools which the ILC is developing such as Land Matrix which aims to monitor large land transaction as a means of ensuring transparency needs the proposed acreage to be scaled down to monitor land transaction in the Caribbean. Indigenous issues are of great importance in Latin American countries but also for Guyana, Suriname and some Caribbean islands. In the negotiation of land rights there may be need to negotiate “territory” where the community can preserve a lifestyle rather than individual parcels which can lead to the breaking up of communities. The decline in civil society participation was noted despite the perceived rise in inequity and human rights violation. The lives and lifestyles of the Campesinos (rural peoples) (as well as those of indigenous persons and others) are being destroyed by land grabbers so much so that the meeting ended with a minute of silence for those activists killed in the last year. Have we in the Caribbean considered that our lives and lifestyles may be impacted by land grabbing, albeit on a small scale and has gone unnoticed? Regional Assembly Members of the International Coalition for Access to Land – Latin America and the Caribbean. LAC Forum Earth “inclusive governance of land and territories to climate change: the central role of organized civil society”. In recent years they have increased conflicts over access, control and use of land and territories across the region due to the expansion of agribusiness, industry, tourism and huge investments in mining, hydroelectric megaprojects, hydrocarbons and forestry in rural areas. 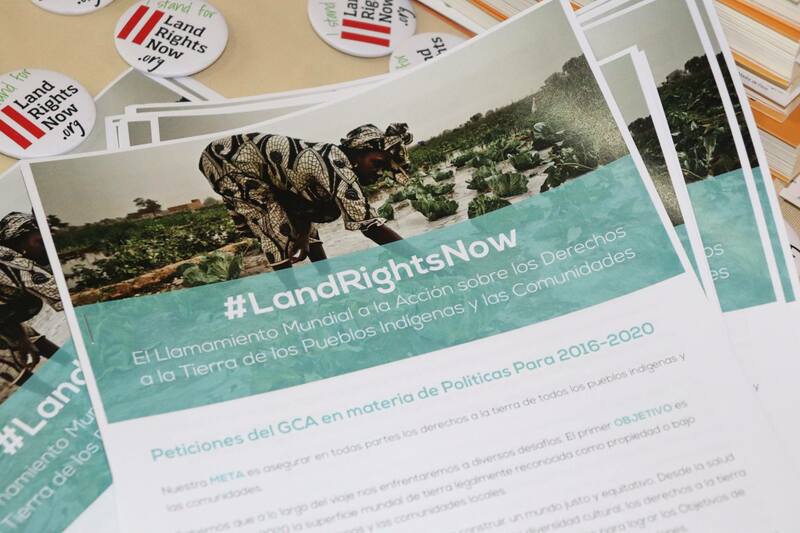 Governments have ignored the peasant and indigenous demands around this problem, responding partial and insufficient, liberalizing the land market and seriously increasing the risk of a worsening of the processes of concentration of land in the region. In this situation, we demand that implement policies aimed at achieving land governance people – centered and sustainable natural resource management and commons to face the concentration of land ownership, marginalization and poverty, and achieve the goals outlined in the Sustainable Development goals (SDGs). The Latin America and the Caribbean is severely suffering from the impact of climate change, expressed in increased temperature, melting glaciers, soil degradation and loss of biodiversity, which is manifested in increased flooding and more frequent droughts and prolonged with very negative on the systems of family and community production and in particular in the lives of rural women consequences. Therefore, we urge States to take measures to prevent and mitigate the impact of climate change, protect and conserve freshwater ecosystems, reduce pollution by mining and industry, controlling deforestation of forests, construction of dams and urban sprawl. We call for the implementation of the Paris Agreement and the deepening of proposals aimed at transforming new development models, incorporating the views and knowledge of indigenous peoples, Afro – descendants, peasants, women and youth in the region and ensuring their effective participation in all spaces and decision-making processes. Latin America and the Caribbean remains the most unequal region in the world; a situation which mainly affects women and rural youth in their social, ethnic and cultural diversity. Social and economic inequality in the region arises from an economic system that favors capital over human rights and life of ecosystems and is reinforced by gender-based violence product of a hegemonic patriarchy that limits young women and enjoyment of their rights to land and territory. We call upon States to design and implement policies and programs for the governance of land and territory with the active participation of women and youth, so as to take into account their lifestyles and their own conceptions of development. In our countries a constant violation of international standards and conventions on human rights persists. Brazil, Colombia and Honduras are the countries where most killings of leaders and leaders concentrated. This increase in violence expresses a relationship of unequal power and an institutional system that protects areas of greatest economic power and political and judicial influence. Therefore, we demand that the safety of male and female leaders who protect guarantee and defend the land, to stop criminalization suffering, to be investigated who are responsible for these crimes to not go unpunished and that respects the right to consultation and prior consent free and informed guaranteed by ILO Convention 169. Indigenous, peasant and Afro – descendant communities are living pressures miners, producers of illicit crops and illegal logging, which forces them to move, leaving their lands and resources in the hands of these groups. Particularly concerned about cases that occur in the territories of indigenous peoples in isolation, such as that given in the Vale do Javari indigenous territory in Brazil, which were recently killed ten famous natives as “flecheiros”. It is also concerned about the situation of vulnerability and risk in the Laguna Larga community is in the municipality of San Andrés Petén, Guatemala Peten department, who was forced to leave their community for imminent eviction. Both cases are critical dozens of examples of situations that are occurring throughout the region. Therefore we call upon States to fulfill their obligation to guarantee the life, safety and permanence of indigenous peoples and peasants in their territories. We urge States to comply with the precautionary measures granted by the Inter-American Commission on Human Rights in several cases in the region. In some countries in the region are an obvious crisis of governance where corruption, authoritarianism, violence and drug trafficking are undermining the foundations of democracy and the rule of law, and impacting primarily on those who are most condition poverty and vulnerability. Therefore, we demand throughout the region, politicians, institutions, organizations and citizens take an unwavering commitment to democracy, truth and justice, while respecting the established institutional channels and the popular will. The Regional Assembly of Members held in Recife ILC LAC and LAC Forum Caruaru Earth have allowed us to learn more about the problems of the countryside, rural sectors and social organizations in Brazil. In this regard, we support the struggle and resistance of organizations and social movements in all their diversity against the severe political setback with the loss of rights that exists today. The ILC LAC Platform reaffirms its commitment to continue working for a land governance centered on people and processes to support defense of rights to land and territories from greater regional integration and articulation. Finally we express our solidarity with the peoples of Mexico and the Caribbean in these very painful moments by human and caused by recent natural disasters material losses and call upon States to expedite care and reconstruction of the devastated areas. Information Forum Earth ALC 2017 available here. The International Coalition for Access to Land (International Land Coalition – ILC) is a global alliance of civil society and intergovernmental organizations working together to achieve a secure and equitable access to land and control for women men and poor through promoting land governance people – centered communities.